Wernher von Braun was an Ex-Nazi sympathizer and a leading rocket scientist for Hitlers military and air force. Born in 1912, he would lead on to be a leading scientist, being one to develop V-2 rockets that were used against the British, as well as being a member of the Nazi party and the SS. Wernher von Braun was orrigionally not a Nazi, but was forced to join after being a technical director at Peennemunde. He later said, "I was officially demanded to join the National Socialist Party. At this time I was already technical director of the Army Rocket Center at Peenemünde ... My refusal to join the party would have meant that I would have to abandon the work of my life. Therefore, I decided to join. My membership in the party did not involve any political activities ... in Spring 1940, one SS-Standartenführer (SS Colonel) Müller ... looked me up in my office at Peenemünde and told me that Reichsführer-SS Heinrich Himmler had sent him with the order to urge me to join the SS. I called immediately on my military superior ... Major-General W. Dornberger. He informed me that ... if I wanted to continue our mutual work, I had no alternative but to join." which leads us to believe that he may not have enjoyed that very much. He later stated he only wore the uniform once but was promoted three times by Himmler. Wernher von Braun was arrested on March 22nd, 1944, after being called out by Himmler and a few witnesses, on charges of being a communist sympathizer and attempting to sabotage the V-2 program. 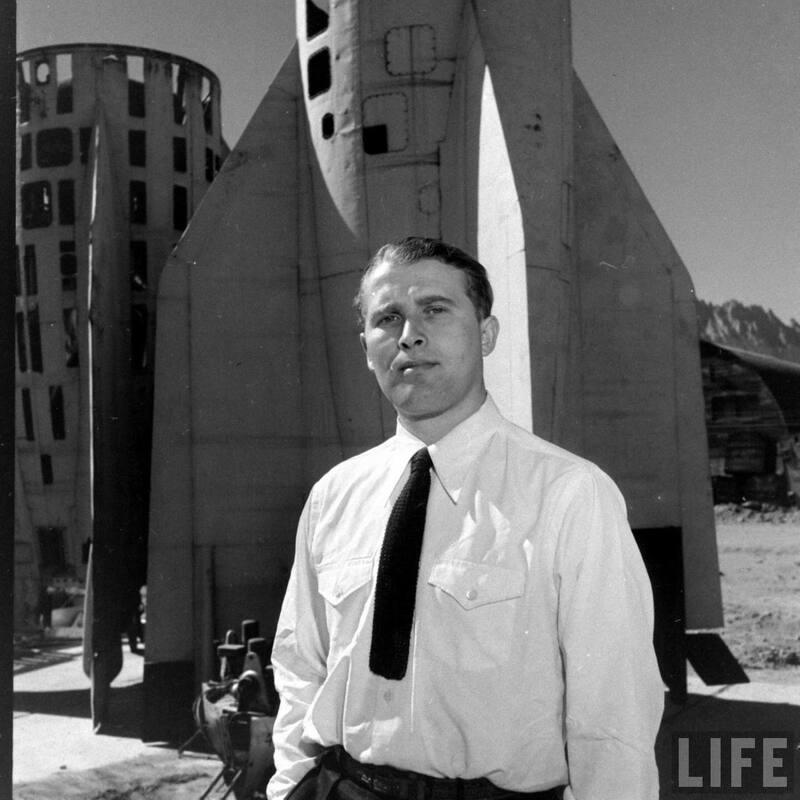 Though he was held for only two weeks before and colleague Albert Speer, who convinced Hitler to allow von Braun to continue work on the V-2 rocket program. Wernher and his staff decided to surrender to the American forces rather than facing the known Russian cruelty of the POW's. Finding their way to american lines and giving themselves in to them, evading their own troops as the SS had been ordered to kill the remaining scientists and engineers. Over 300 V-2 rockets were recovered from the site before allied explosives destroyed the rest. He was moved to the US during Operation Paperclip and was a aerospace engineer and space architect, credited in creating and working on the Saturn V rocket. He also worked on an Intermediate-range ballistic missile(IRBM) program before being transferred to NASA. In 1975, he received a award, the National Medal of Science. he was a very outspoken person when it came to human travel to mars throughout his life. He was known to have an interest in using his know-how for space travel rather than killing people, and has been quoted to saying "I aim for the stars, but sometimes i hit London" in which was used in the film I aim at the Stars, a 1960 biopic of von Braun. He is also known for his plans of a space station that would orbit earth, used for military means for the US, meant to capture total space superiority from the Soviets and British, and to be able to defend against extra threats. In 1976, Wernher von Braun were to be diagnosed with cancer, leading to his eventual death on June 16th, 1977 in Alexandria, Virginia.